NoCO Custom Homes owner Jason Jones has always had the desire to serve others. At a young age, he decided to serve his country and joined the Marine Corps right out of high school. 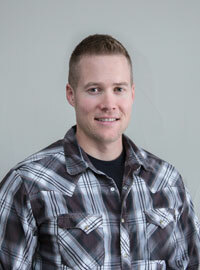 Jason spent six years in the Marine Corps, which included two deployments to Iraq. He returned to Fort Collins in 2007 and decided to venture into the world of real estate. His true interests were in construction and custom homes, so he teamed up with a seasoned local builder to gain experience in home construction. After working under his mentor for several years and successfully completing several home projects, Jason decided to take the leap and establish his own custom home building company, NoCO Custom Homes. He incorporated the Marine Corps values of honor, courage, and commitment into his business operations to serve his clients with the same dedication with which he served his country. Today, Jason is a veteran-certified builder and an Energy Star certified builder, and he has long lists of homeowners who are happy with the homes he built. He attributes the success of his business to the discipline he learned as a Marine, his solid work ethic, maximizing his use of technology, the efforts he puts into continuing education and market evaluation, and the constant challenges he gives himself to continually improve his building skills.